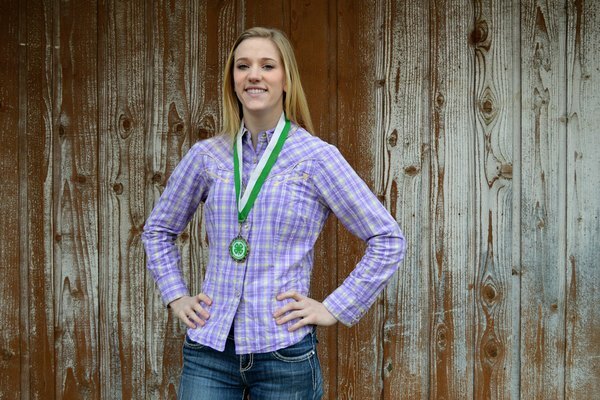 You've diligently raised your 4-H chickens, giving them excellent feed and keeping their coop spotless. Your birds are healthy and ready for exhibition, having been blood-tested for communicable diseases at least one month beforehand. 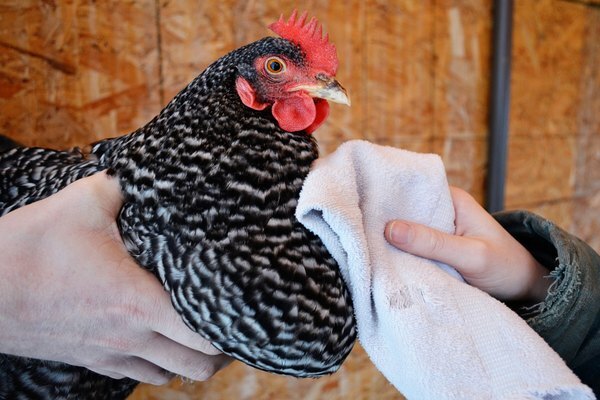 Showing 4-H chickens involves careful bathing prior to the event, but it also means practicing the correct way to handle your birds for judging. Wash your chickens about two days prior to the show. 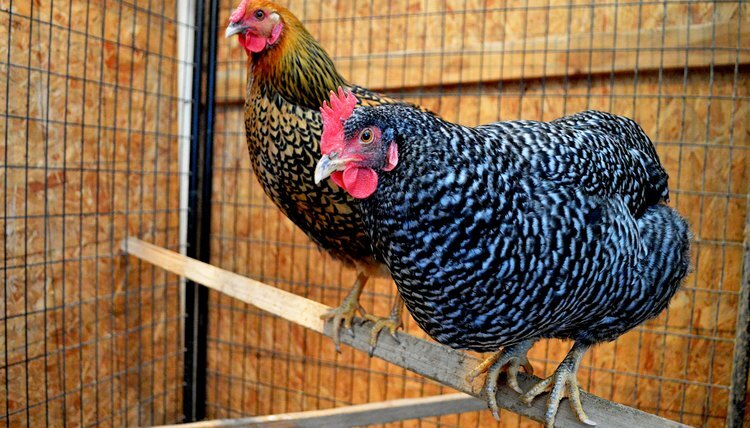 Wear rubber gloves to protect your hands from chicken beaks and spurs. Use mild soap to clean your birds. You'll need three washtubs to complete the task, the first containing sudsy, warm water. Use a sponge or wash your birds by hand. 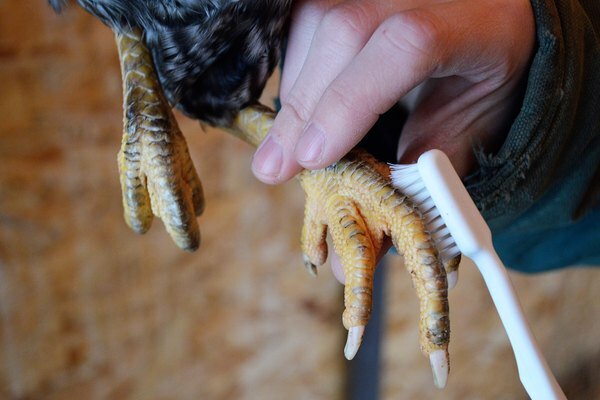 An old toothbrush is useful for gently scrubbing the legs. After washing your chickens, rinse them off in a tub of warm water containing a small amount of apple cider vinegar. This helps in soap removal. The final rinse is in another tub of warm, plain water. You must allow ample time -- between 18 and 24 hours -- for your birds to dry. You can towel dry them after the final rinse. Avoid the temptation to use a hair-dryer, as that will make the feathers look odd and fluffy. The exception to that rule is a naturally fluffy breed, such as the Cochin. After washing your birds, put them in a cage full of clean straw, in a warm area. You can put bit of oil, such as olive, baby or mineral oil, on the feet, comb and legs to give them a healthy shine. Bring baby wipes along to the show to remove any soiled spots. It's not enough just to clean up and properly present your chickens. You must be attired correctly. Your clothing doesn't have to be fancy, just neat and clean. Proper attire includes a button-down, long-sleeved shirt; pressed khakis or nice jeans; minimal makeup or jewelry and long hair pulled back. Wear boots or closed-toe shoes -- no sandals or sneakers. 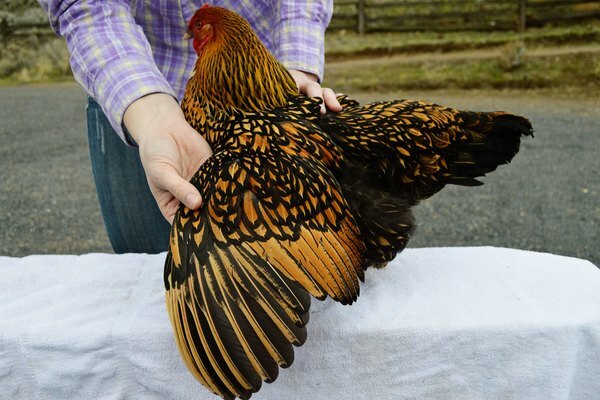 In showmanship, you can't just grab your bird out of the cage and plunk it down on a table for the judge to examine. There's a correct way to perform this relatively simple task. You'll be judged on your ability. Practice at home before the show date. Take the bird out by reaching inside and holding him down, with his head toward the door. Put one hand under his body, with your index finger between his legs. Your other fingers support one leg, and your thumb supports the other. Your other hand is on the bird's back. Bring the bird out head first, then close the door. Put his head either under your arm or in your arm's crook. You can put a hand on your chicken's back for control. Then head to the judging table. Once you place your bird on the judging table, you'll be asked to pose him in various positions for the judge's perusal. This includes showing the wings, the bird's width and length, and the keel. For the latter, you must turn your chicken over. You must show the judge the bird's feet, then the tail. Flip the tail up and down quickly so the judge can see the tail carriage. Be prepared for the judge to ask you questions and make requests for additional bird posing.